Pharmaceutical - interior - HELAGO-CZ, s.r.o. 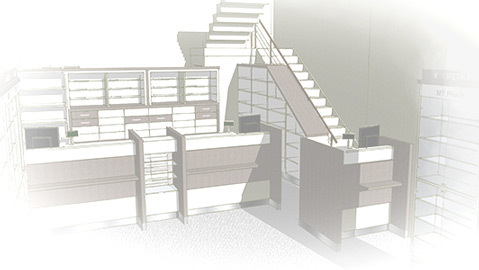 Do you need to design and furnish, renovate or modernize your pharmacy?It is not a problem anymore. We will be happy to help you out..
We have been working in the field of manufacturing of furniture for pharmacies, consulting rooms, offices, classrooms, waiting rooms, and receptions etc. since 1993. During this period, we have acquired lots of valuable knowledge and experience. 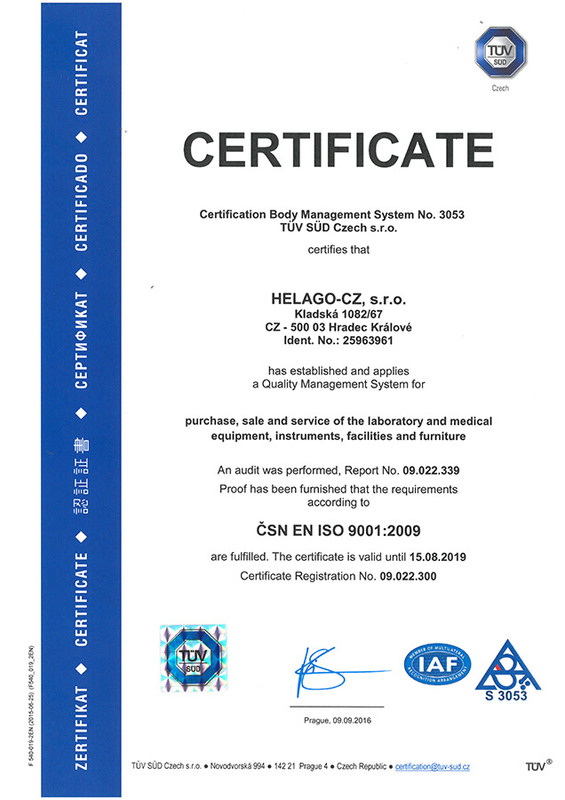 Thanks to that, our products are of the highest quality. Our designers always try to find the optimum solution in accordance with customer’s wishes. The result is an interior not only nice to look at, but also practical and in which it is pleasant to work and which is attractive to customers. When designing interior furnishings in a pharmacy, health care stores, or other commercial areas, we pay special attention to storage and comfort of delivery. We strive to make the most of modern storage systems. We cooperate in this respect with the German fi Rowa, the world's leading manufacturer of pharmaceutical robots (automated systems for storing and dispensing pharmaceuticals), as well as other modern technologies into pharmacies such as Vmotion large screens etc. We have been working with fi Willach for many years in the field of drawers systems, and Austrian H+H System GmbH. 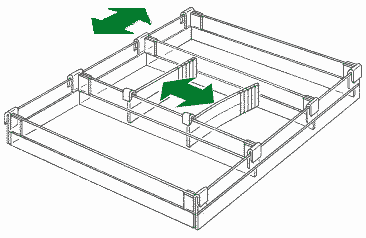 Their drawers and shelf dividing systems are among the best in the world. An entirely revolutionary system for the storage and delivery of pharmaceuticals is the Rowa Smart and Rowa Vmax automated systems. The main advantages of robots for storing and dispensing drugs are undoubtedly speed and convenience of delivery, accurate inventory overview and saving space for storage of drugs. Increasing the speed of delivery and hence faster and more efficient customer satisfaction combined with higher quality of care provided will positively affect the overall customer satisfaction, which will usually soon be reflected in the level of revenue. With an automated drug delivery system with a robot, the pharmacist now has the opportunity to use the time he or she would otherwise have to spend by searching for the drug, far more efficiently, and to fully engage in communication with the customer. It can explain to the patient, for example, drug side effects, dosage and method of administration, recommend suitable treatment aid, etc. Thanks to better quality and faster operation, other customers may no longer wait for the queue, which significantly reduces their risk of going out to competition. More detailed information on automated systems - robots Rowa Smart a Rowa Vmax And other storage systems can be found in the category "Health service >Pharmacy". We will be happy to show you various technical solutions and we will help you choose suitable construction materials and top everything off in accordance with your wishes and options. We will show you the results of our previous work if you will ask. We are ready to make furniture for your interior.